Tampa Bay came away from the 2018 NFL Draft with eight players, including five in the first three rounds. It's not taking them long to make an impression. 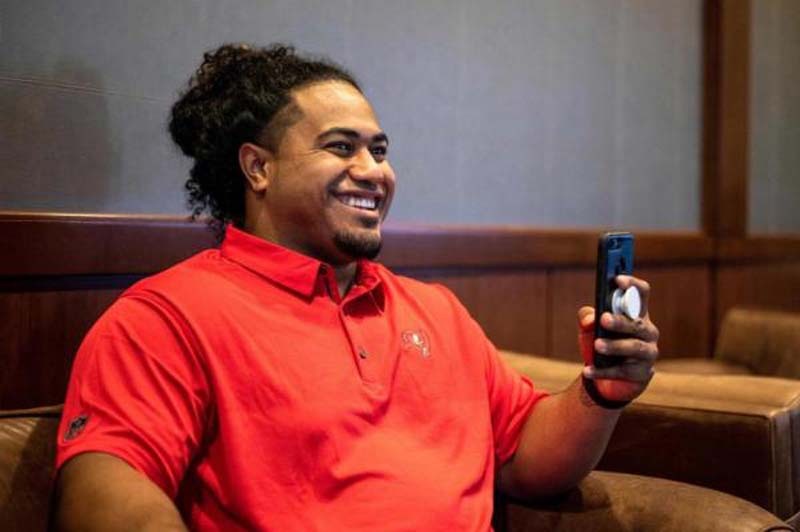 "What we've seen is a guy that his weight definitely has not affected him," Buccaneers coach Dirk Koetter said of the 350-pound Vea, the No. 12 overall selection in the draft. "He's got an excellent motor and he is a very strong human being. I mean, you can ask those guards that are playing against him. "I mean he's got a move with that inside arm. I've seen him lift 300-pound men off the ground with one arm. It's impressive, his strength." Vea, who recorded 9.5 sacks and 15 tackles for loss during his three seasons with Washington, is a vital piece of Tampa Bay's plans to turn around a defense that ranked last in yards allowed and sacks last season. So is Davis, the third of Tampa Bay's three picks in the second round. Koetter lavished praise on the rookie while meeting with the media Thursday. "Carlton, he's off to one of the fastest starts of the rookies. He gets thrown out there a lot just because of who's here and who's not here at corner," said Koetter. "He's getting a lot of reps. He's getting a lot of reps against some good receivers. What he's shown is that he plays the ball probably better than I thought he did coming off his tape. "We knew he was a good bump-and-run player. You can't really play true bump-and-run during Phase 3, so he's having to play a little bit more off and I think he's getting better." "I'm a lot more comfortable just as far as the schemes. Every day I feel like you get more comfortable with the playbook," said Davis. "With the installs we're putting in, we kind of went over them during rookie minicamp so the second time around is a lot more comfortable." Cappa has the steepest learning curve of his fellow rookies given the level of competition in college, but the four-time Great Northwest Athletic Conference's offensive lineman of the year received a lot of praise from the player he hopes to be flanking on the line. "Alex, he's a smart football player. He's in his playbook all the time," said Jensen. "Every time I walk into the meeting room, he's been in there for five or 10 minutes already going over the day's install and stuff like that. He's really into it."